Keratoconus is a slow, progressive eye disease in which the normally round, dome shaped cornea (the clear outer front portion of the eye) thins and begins to bulge into a cone-like shape. This cone shape is irregular, bending light as it enters the eye. Since the cornea is responsible for refracting most of the light coming into your eye, an irregular cornea causes blurred vision. Blurred vision caused by keratoconus (especially in its late stages) is different from blurred vision that is caused by other common refractive errors such as myopia or hyperopia. In the later stages of keratoconus, achieving satisfactory vision, even with glasses or contacts, can be difficult. Keratoconus can occur in one or both eyes and often begins during a person's teens or early twenties. The condition occurs in approximately 1 in 1000 people. 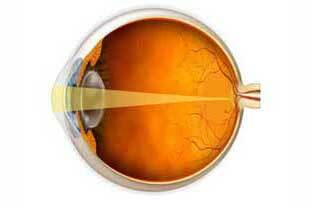 In the early stages of keratoconus, the disease can cause some blurring and distorted vision. People with keratoconus may also begin noticing an increased sensitivity to light. It is common for these symptoms to first appear in the late teens and early twenties. 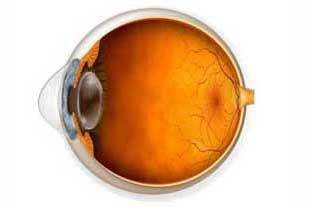 Keratoconus can progress for a couple decades and then slow or stabilize. Early onset keratoconus appears to indicate a greater risk of the disease being more severe later in life. It is also possible for each eye to be affected differently.